Address: 51 East Houston St. 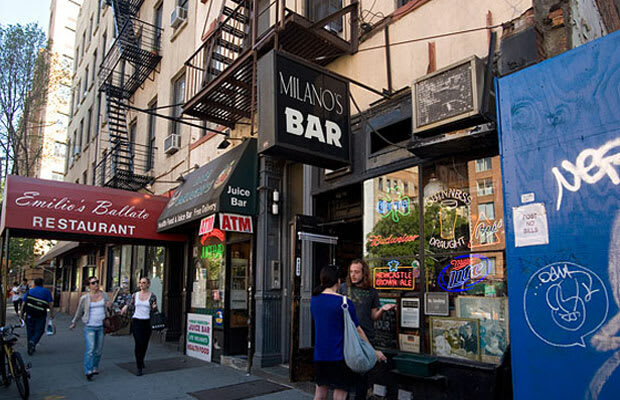 So dark and so narrow there's almost something anatomical about it, Milano's is one of New York's oldest dives, a fact made apparent by the tin ceiling and poor layout. They encourage a shot of pickle juice back with each whiskey, and last call comes at 4 a.m. The jukebox stocks mostly oldies; singing along is encouraged, but do so mournfully. Also, we hear you can buy drugs here.